We recognize that learning about finances should start early, way before the age 18. 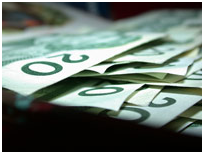 At the agency we provide financial literacy training for our children and youth in care starting at grade 4. By the time you turn 18, you will have had the chance to practice and manage finances, which is essential to transitioning out of care and into adulthood. Part of this strategy includes training caregivers who can practice and teach these skills to children in their care on an on-going basis. Ideally, all children and adolescents in our care should have a bank account by age 8 or after 8 months in care.